A great facial to treat yourself to when you need a little ‘pick me up’. Starting with a deep cleanse, your skin will already feel fresh. Following your skin analysis, an exfoliant specifically chosen for your skin needs will be applied and worked in with steam to leave your skin felling soft and smooth. Finishing with a moisturiser to protect and revitalise. No excuses needed for spoiling ourselves ‘deluxe’ style. It’s all in the name. Following our ‘Pore’fect Pick me up’ we’ll include a head, neck and shoulder massage for the ultimate relaxation experience. A mask is specifically chosen for your skin needs and whilst we let it penetrate we’ll take your relaxation experience to the next level and perform a luxury hand massage. Removing the mask we’ll complete your experience with a revitalising moisturiser leaving you feeling completely ‘deluxed’. Looking after our under 15’s, we’ll introduce you to the essence of looking after our skin. Performing a cleanse, tone treatment to freshen and revitalise your skin. 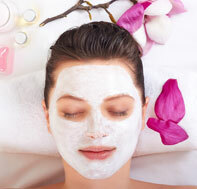 Including a facial massage (head,neck and shoulder) and finishing with a facial moisturiser. 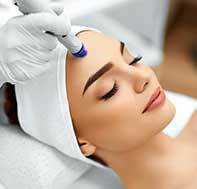 The new modern microdermabrasion facial has arrived. Vacuuming across the surface layers of the skin, this treatment loosely abrades & partially removes the outermost epidermal layer allowing increased production of new skin cells to be regenerated. Improving skin texture, brightening, reduces lines and wrinkles and is great for acne prone & sun damaged skin.